The Classic European Alps high traverse. 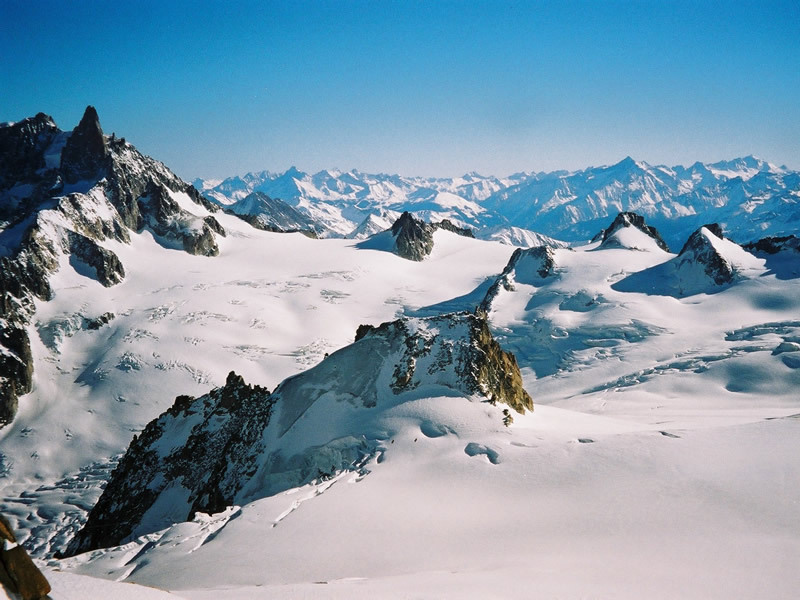 The Haute Route is the most well known and perhaps the most travelled of all the ski traverses in the Alps, and with good reason. 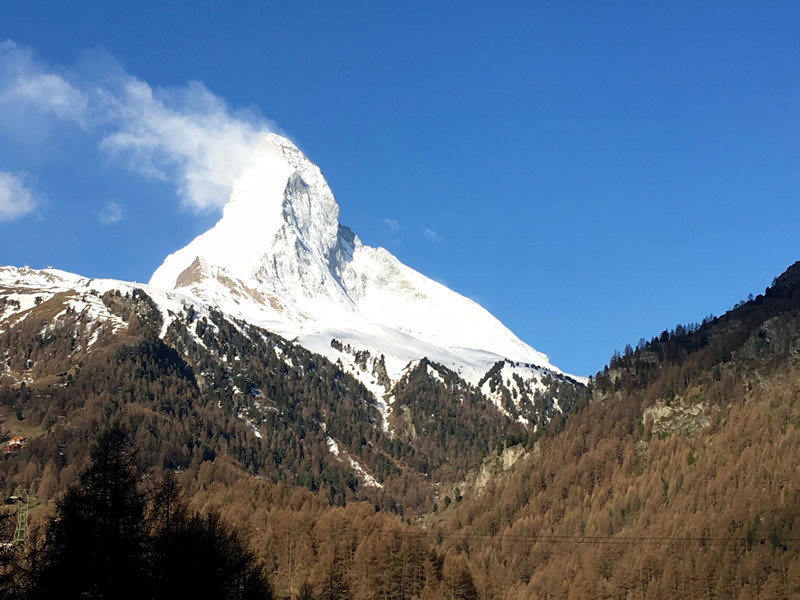 The route takes you along the highest alpine line between two of the most famous mountain towns in Europe: Chamonix and Zermatt. In this version we beat the crowds by starting in Zermatt and finishing in Chamonix, using huts and hotels that are off the beaten path while staying true to the classic sections of the Haute Route. Finishing in Chamonix allows us to descend on the spectacular Mer de Glace right into town on our final day. 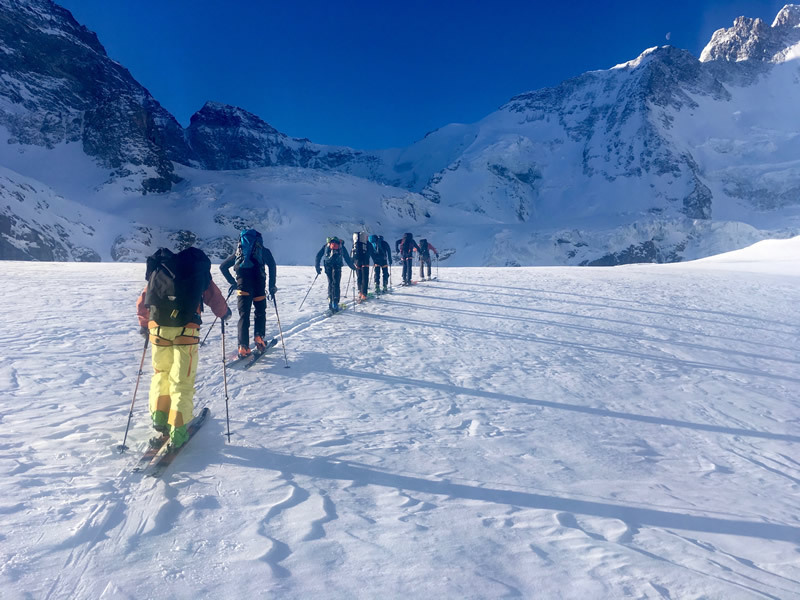 After a week in the high mountains our level of acclimatization allows for those interested an opportunity to climb Mont Blanc, Europe's highest peak. Location: Zermatt to Chamonix, Swiss, Italian and French Alps. Price: $2900 CAN + 5% tax, per person. A certified guide can take you to places where you wouldn't otherwise go by helping to assess, manage and mitigate the risks of travelling in the mountains. Copyright © 2019 Galena Mountain Guides. All Rights Reserved.